Cologne, Germany – Out of Córdoba is a documentary film about the greatest but least known chapter in European history: Muslim Spain. For almost 800 years, vast swathes of the Iberian Peninsula were under Muslim control. Al-Andalus, as Moorish Spain was known, is to this day viewed as an era marked by tolerance, with Jews, Christians and Muslims living for the most part peacefully together under the banner of convivencia (coexistence). 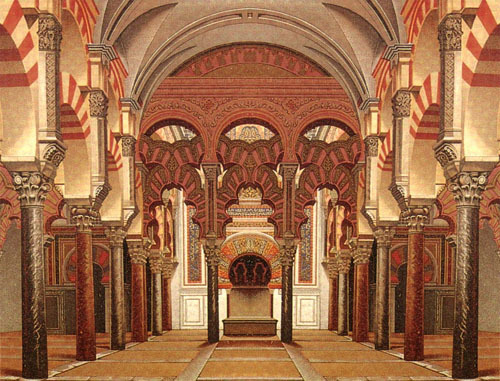 Córdoba was the capital in a region that represented a leading cultural and economic centre – of both the Mediterranean and the Muslim world as a whole. In Out of Cordoba, which was released last year, but which can now be bought at educational institutions across the United States, Jewish-American filmmaker Jacob Bender counters the idea of the clash of civilisations by invoking the tolerant spirit of Cordoba and tracing the life stories of two 12th century philosophers: the Jewish Maimonides and the Muslim Ibn Rushd. As Bender explains at the start of his film, following the terror attacks on his home city of New York, he felt the need to discover new hope and idealism as a way of refuting the clash theory. Retracing history in the spirit of Ibn Rushd and Maimonides and, to a certain extent, Bender’s own pilgrimage of hope, shows that tolerance and free thought – historically and today – can help bridge even the most entrenched divides. Maimonides and Ibn Rushd were philosophers, legal scholars and doctors who were proponents of Aristotelian ideas and advocates of logical and free thought. In modern day Córdoba, the film follows Bender as he meets people who are inspired by the spirits of both men, among them an imam that reads out a fatwa, a religious opinion, against Osama bin Laden, branding him an infidel owing to his violent crimes. Bender also speaks to the Spanish Foreign Minister Miguel Ángel Moratinos, who says that Maimonides and Ibn Rushd are an expression of his work as a diplomat. The two figures are historical examples, Moratinos explains, that the coexistence of Judaism, Christianity and Islam does not inevitably lead to conflict and confrontation, but that it can be a mutual inspiration to aspire to extraordinary cultural achievements. One of the film’s most moving moments is Bender’s encounter with Rabbi Arik Ascherman in Jerusalem. Bender says that he could initially see no scope to include contemporary politics in a film about Maimonides. Efforts by Ascherman to secure Jewish-Muslim reconciliation – with recourse to Jewish religious traditions and Maimonides – seemed to suggest otherwise. Ascherman’s view is that the status quo should be turned on its head and religion made a part of the solution in the Israeli-Palestinian conflict. In a voice quivering with outrage, the Rabbi describes the injustices and the violence that have befallen many Palestinians as bulldozers destroyed their houses in East Jerusalem. He describes his organisation, Rabbis for Human Rights, as the “conscience of Israel”, a place where rabbis campaign for the rights of their compatriots, Israeli Palestinians and Palestinians in the Occupied Territories. The film’s last word goes to David Burrell, a Christian professor of theology, who stresses that Ibn Rushd and Maimonides were pioneers in critically examining their own religious traditions, and who engaged with traditions that were not initially theirs. In the end, after following in the footsteps of Ibn Rushd and Maimonides and seeing today those who are still very much inspired by these figures, Bender looks at the silhouette of Jerusalem, a city which has become a synonym for human discord, and he says that at the end of his journey, he cannot but help be inspired to believe in the possibility of alternatives to the clash of civilisations and the power of interfaith reconciliation. Lewis Gropp is a freelance journalist based in Cologne, Germany.